All work is guaranteed for 30 days. 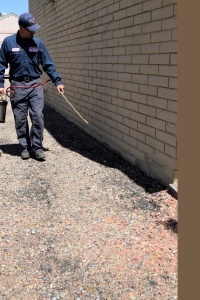 Roaches, ants, fleas, ticks, scorpions, centipedes, spiders, anything that crawls and has more than two legs pretreatments for new construction. 5 year warranty. We offer borates treatments for new construction. Borates termiticide, insecticide, and fungicide is a highly effective and long lasting. Borates rapidly penetrates wood components and provides a long term, continues barrier of protection against future infestations. Borates is a low toxicity product that does not adversely affect the environment. 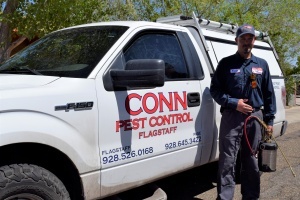 We use the best chemicals for a preventative against bark beetles, tip moths, and web worms. We can also apply micro injections to trees where overall spraying may be a problem. Early Spring is the best time to spray trees for aphids, bag worms, and scale.